Corona developer prepared a longer video showing Interactive capabilities of Corona Renderer in combination with CoronaScatter (old version) which comes for free with the renderer. The video shows two demo scenes. First one is the all-time favorite demo for GPU renderers – a car lit with HDRi. 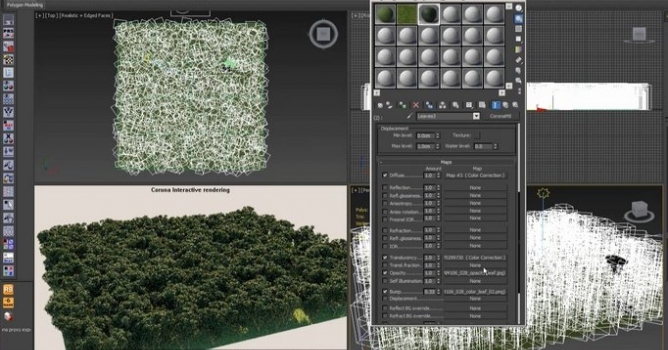 The second one is a more realistic scenario which you will encounter in archviz - non-proxied vegetation which uses opacity maps, the multitexture plugin in diffuse, translucency, and bump mapping. The car scene was provided by Ludvík Koutný, and the tree model by Juraj Talcik from TD Visual. Hardware: intel i7 4930k 3.4Ghz, 32GB RAM.